This bike is an all-round work horse for touring where the roads are broken, or where there are no roads. It was tested on this years' Oregon Outback ride, 360 miles of fully self-supported touring through the back roads and rail beds of rural Oregon. The bike performed just like it ought to: Stable handling while loaded with gear, even on gravel roads at higher speeds. Comfortable riding position. 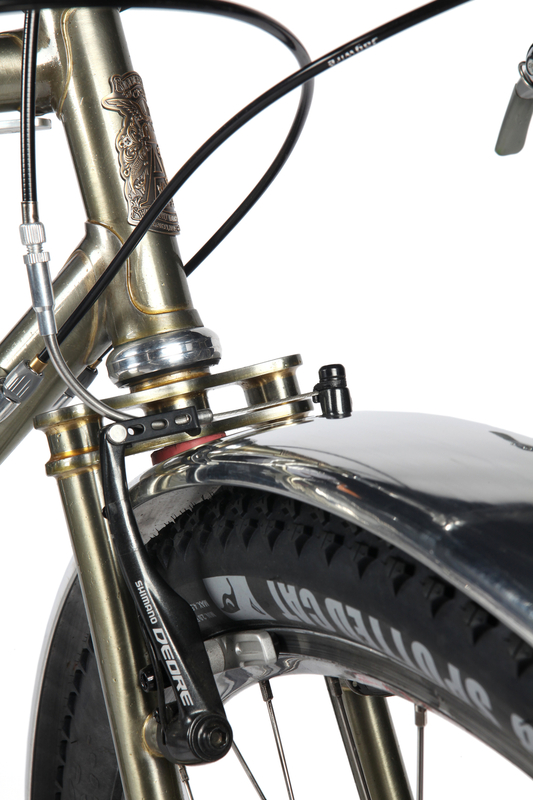 Clearance for fat tires & fenders. 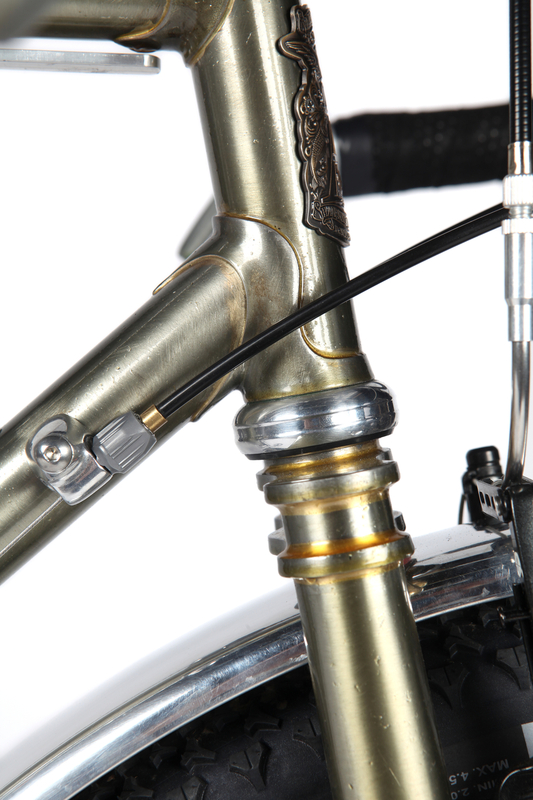 A classic steel lugged bike that hearkens back to the early days of mountain biking. Compliant, stable, comfortable, sure handling, and most importantly, Fun. There are a couple of versions of this bike available, the most notable difference being in the brakes; either disc brakes or linear pull (or cantilevers) are possible. 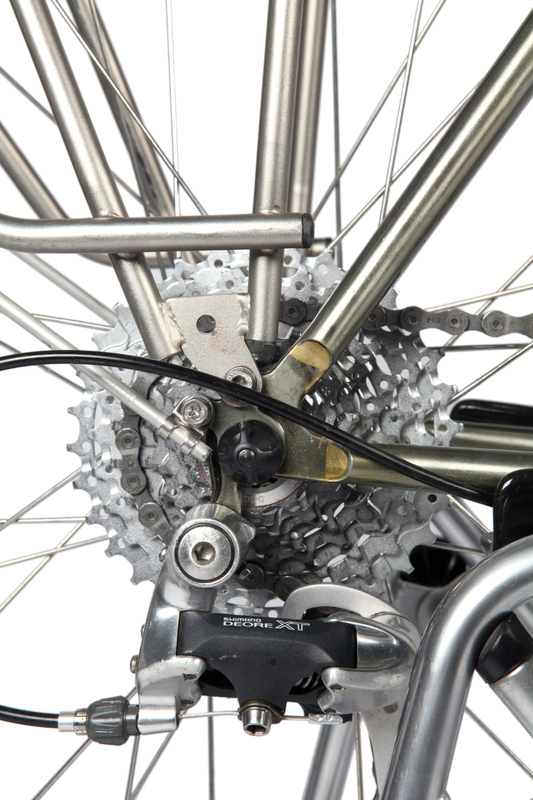 A generator hub powering front and rear lights is also recommended for those considering using this bike as a year round commuter and tourer. 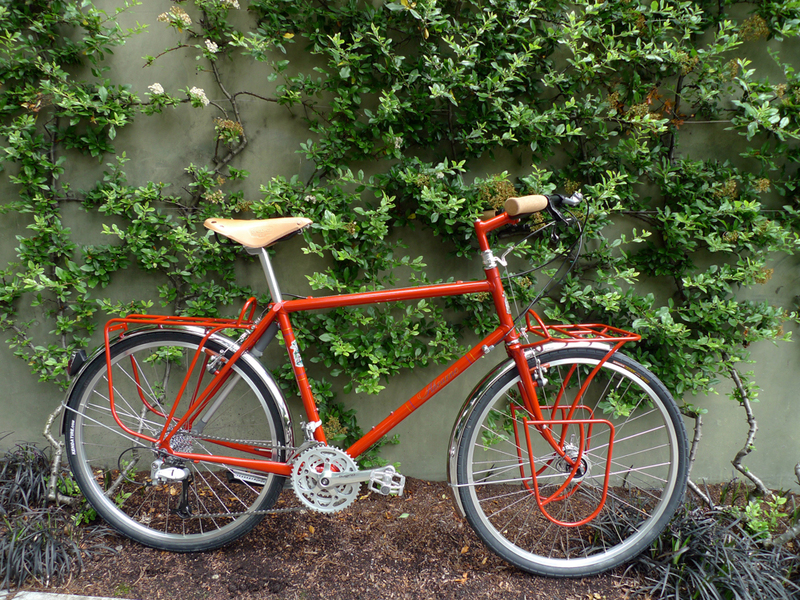 If a person could only have one bike -- or I should say, if I could only have one bike -- this would be it. 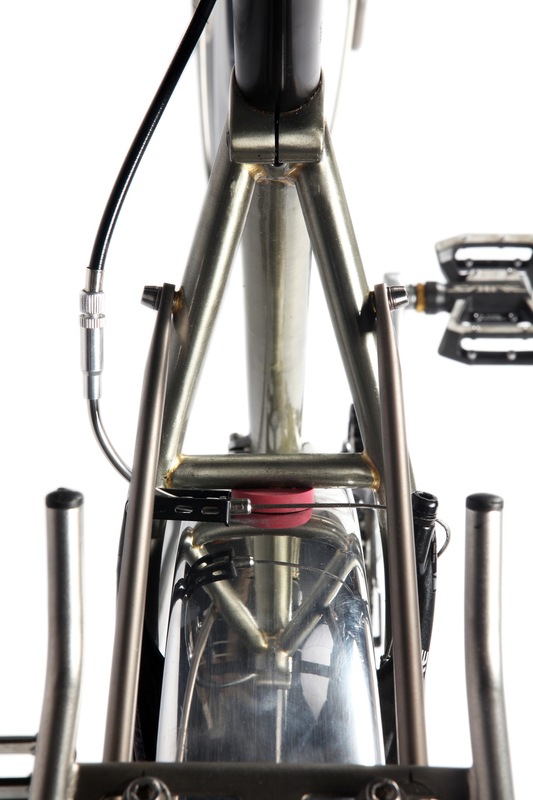 I think I say this about just about every bike I build, but this time I really mean it: I'm very excited about this bike. I've been refining my ideas of what makes a great touring rig, and more often than not, when I'm out for longer multi-day rides I come across lesser traveled roads, and these are the roads that draw me out, that interest and excite me. When it comes to exploring new places, I don't want to be limited by what my bike can do. Let spontaneity be my guide. Rides like the Oregon Outback show that some of the most beautiful and untouched countryside is out where cars mostly won't go. It's amazing how much less stress there is when you're not constantly watching your back. The air is fresh, the scenery rolls on by, and when you stop there is silence, the sounds of birds, bugs, rustling leaves. There's nothing wrong with that. Prepare for anything, go everywhere. 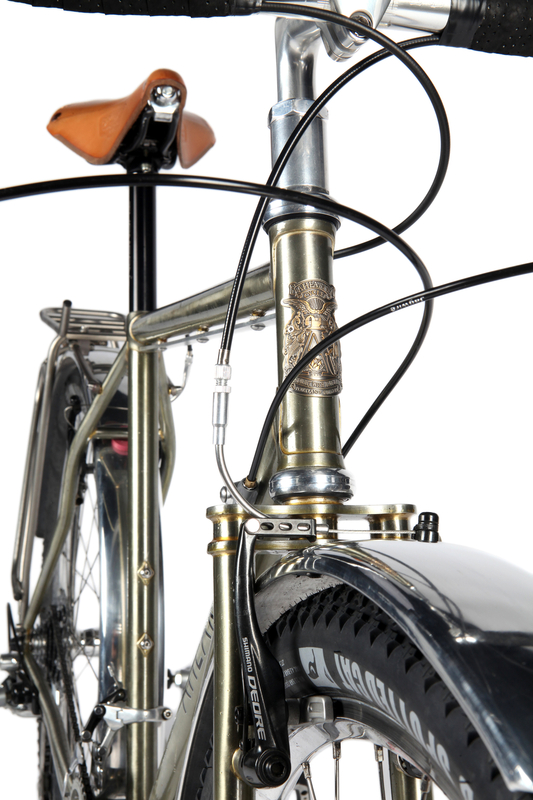 The Oregon Handmade Bicycle Show was in Bend, Oregon this past weekend. The event was coupled with the big cyclocross Halloween race, which draws a pretty large crowd every year. The race has been at the coast, in Astoria, for the past few years. They moved it to Bend this time for a change of scenery. I didn’t make it over to the race, but I heard part of the course was too dusty to see. The bike show was held at the GoodLife Brewery. I’m not sure of the exact number, but I think there were about 35 or so booths. I liked that it was a smaller show. A steady stream of people came through, and nobody seemed overwhelmed. At the larger shows you can see peoples eyes turn to spirals from goggling at bikes for too many hours. 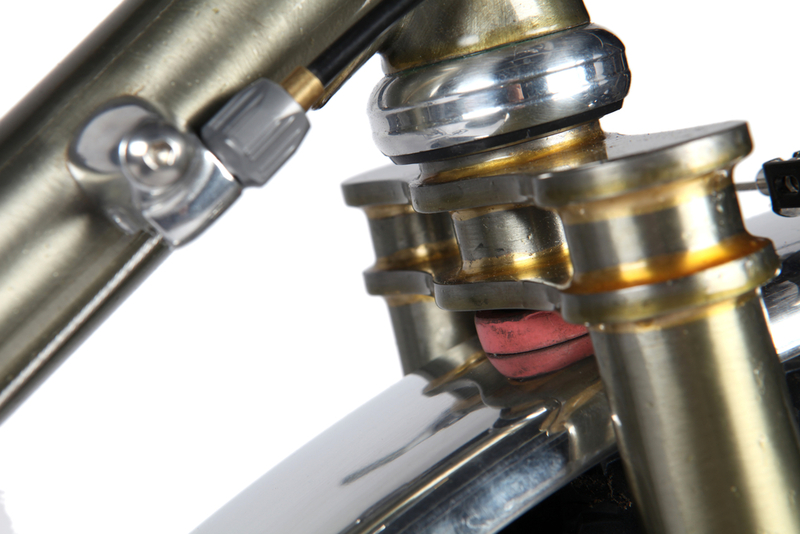 It’s a particular form of melt down that affects the insatiable bike nerds. Jonathan Maus of bikeportland.org was in Bend covering the story of the Halloween Cross Race. 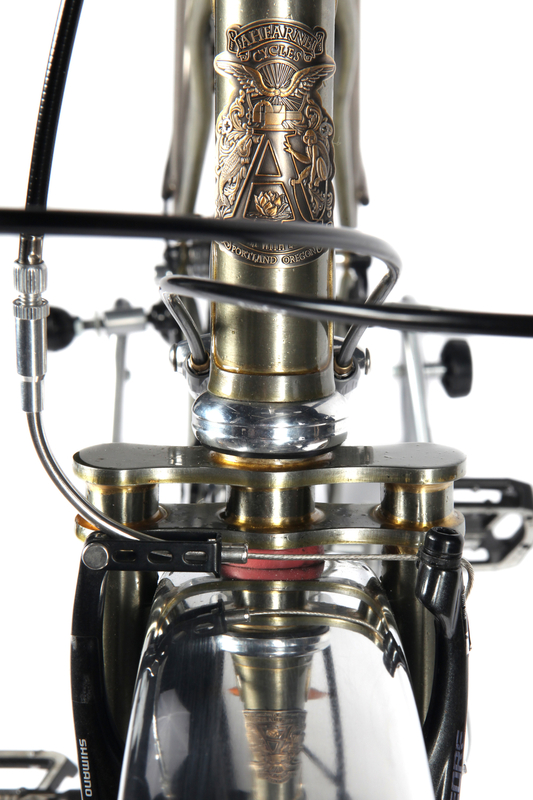 He also posted a summary and overview of the bikes he saw at The Handmade Bike Show. Here is one of the bikes I brought with me to the show. It’s a touring bike for Mister Mike Muzik. I’ll let the photos tell the story.